A period of heavy rain has caused deadly flooding in several states in India over the last few days. Currently the states of Uttar Pradesh, Bihar, Uttarakhand, Rajasthan and Madhya Pradesh are worst affected. East Sikkim district in the state of Sikkim has also been affected by flooding over the last few days, and parts of West Bengal are under threat as the Ganges river reached above danger levels in Murshidabad. Thousands have been evacuated and at least 35 deaths have been reported. Earlier this month the Indian government said that this year’s monsoon had resulted in 480 deaths since June. 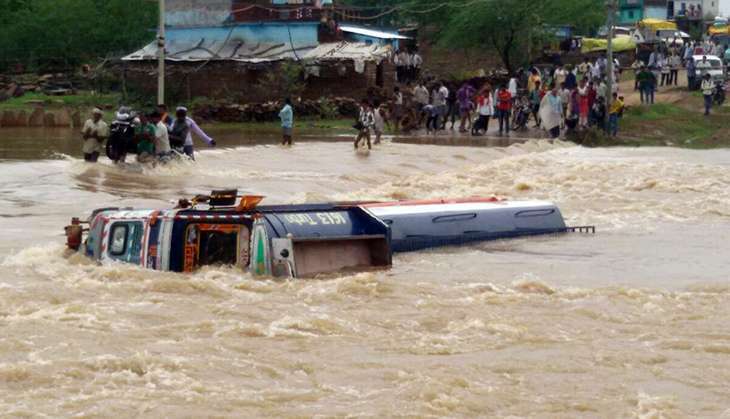 Over 50 flood rescue teams of the National Disaster Response Force (NDRF) are in operation in various flood hit areas of the different states to assist in rescue and relief work. The Prime Minister, Shri Narendra Modi has assured total support in the rescue and relief operations in the flood affected states and hoped that the situation in the affected areas would normalise at the earliest. In a statement of 22 August, the Prime Minister said, “I pray for the safety and wellbeing of those in areas affected by floods in parts Uttar Pradesh, Bihar, Uttarakhand, Rajasthan and Madhya Pradesh.” “Home Minister Shri Rajnath Singh is closely monitoring the situation. He has spoken to the chief ministers and taken stock of rescue and relief operations. “The Centre assures total support in the rescue and relief operations. I hope the situation in the affected areas normalises at the earliest”, the Prime Minister said. Many of the areas recently affected are those still trying to recover from the devastating floods of July and earlier this month. Rain bombs and thousand year floods are catching America’s attention as 110,000 homes damaged by floods in Louisiana . Big Oil & Big Coal and their dependent industries are killing "Civilisation" on our sensitive small planet Tellus !